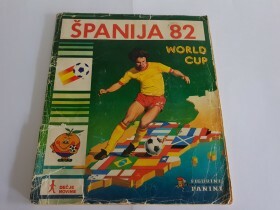 ŠPANIJA 82 - PUN !!!! ----------- 10 DIN. ALBUM POPUNJEN . STANJE OK , IDENTIČNO SA SLIKA . POGLEDAJTE OSTALE MOJE AUKCIJE !!!!!! !